My first goal was to see if the set had any chance of producing a picture. If the CRT was good, there was probably a good chance to get things up and running and it would be worth the effort. So for the time being, not having any high voltage electrolytics (150 - 200V) around, I fashioned some using 50V caps in series with equalization resistors across each cap. I made up two units to replace the first filter. I was still running the set through the variac keeping track of the power supply current. The first results with the bridged filter reduced hum, but nothing else appeared to happen. 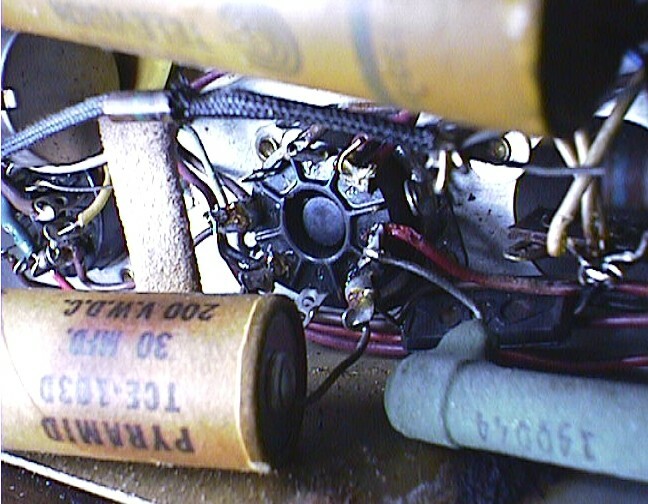 A closer look revealed that half of the tubes were still out, the cause - another 18 ohm 5W resistor was also open. Having just obtained some 22 ohm replacements (probably a good idea because today's line voltages are higher) the two bad resistors (power supply & heater dropping) were replaced. Now we were getting somewhere, at 75 volts - static was mixed with the noticeable but not as bad as before hum. At 80 volts, deflection oscillator squeals could be heard. 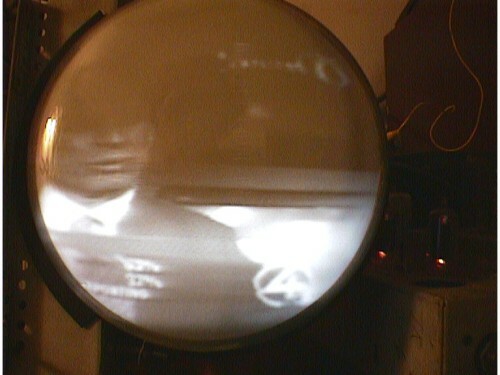 I then noticed that the CRT appeared to be lighting up, but I had the front of the tube facing the back. So things were powered down while the set was turned around. 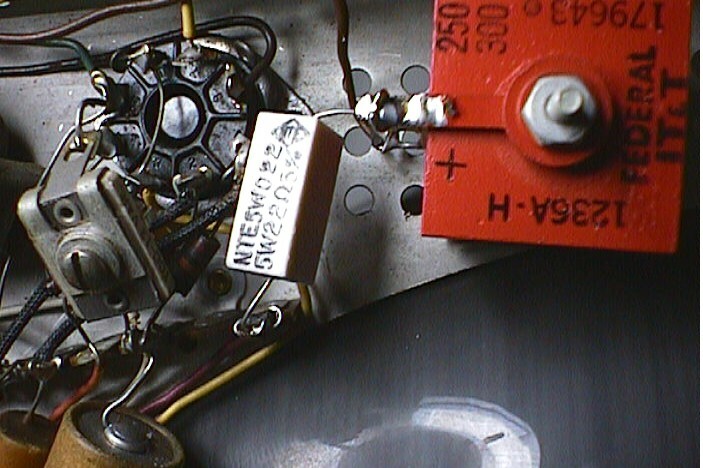 NOTE: This set uses a transformerless circuit, so the chassis is connected to one side of the AC line. 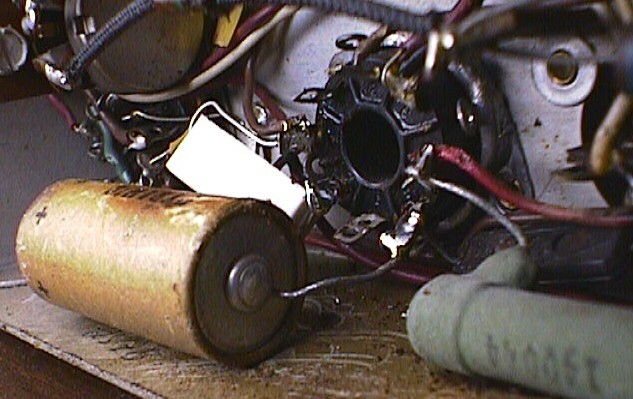 Not having an isolation transformer, all tests were limited to make the connection, crank up the variac and stand back. I only dared to go to 100 VAC, but a definite picture was appearing. Symptoms obviously of hum in the video also. But at least I knew things were working for the most part. The CRT looks a little weak, but good enough.